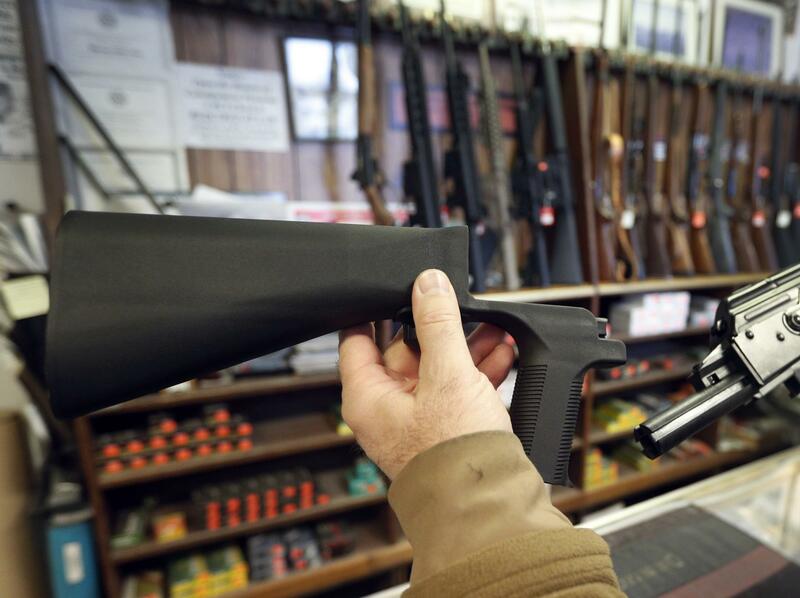 A bump stock, left, is a device that can be added to a gun to increase its firing speed. The devices were banned by the federal government his week. In the run-up to the total ban, RW Arms had rushed to sell as many bump stocks as it could, posting a countdown clock on its website to warn customers of the impending change. Its bump stocks were priced at between $179 and $199; the website now says they're out of stock. A previous version of this story said that gun-makers had sought removal of the ban. In fact, it was gun-rights groups that asked the court for a stay on the ban.